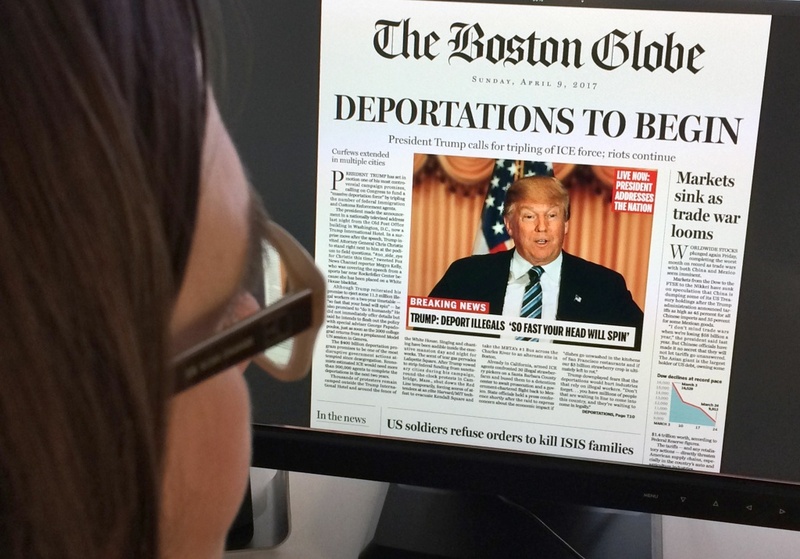 This April 10, 2016 photo taken in Washington shows a woman reading an online version of a mockup of what a frontpage might look like should Republican frontrunner Donald Trump win the presidency, as it condemned his "deeply disturbing" and "profoundly un-American" vision. 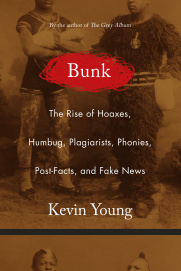 “Bunk: The Rise of Hoaxes, Humbug, Rise of Hoaxes, Humbug, Plagiarists, Phonies, Post-Facts and Fake News,” seeks to highlight cultural figures and events that date back more than three centuries to explain that the current “fake news” era isn’t a new phenomenon. 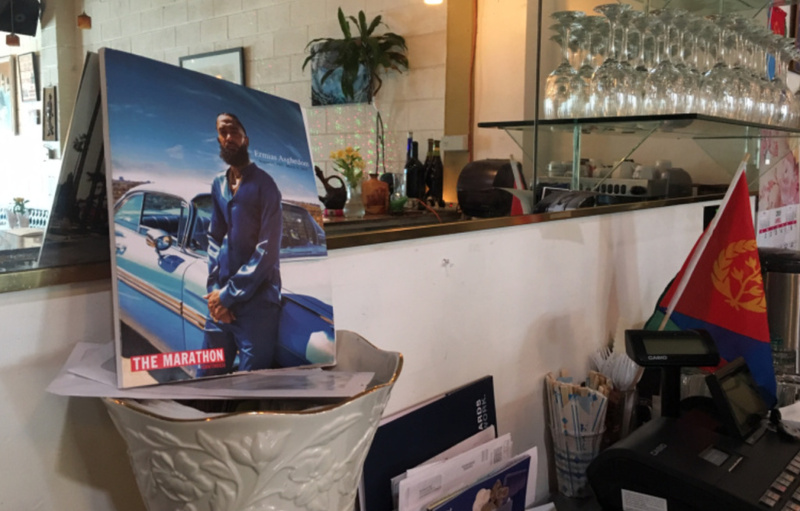 Author Kevin Young takes readers on a historical journey from P.T. Barnum to Donald Trump to explain the nation’s long history of hoaxes. Young furthers the conversation by incorporating racial anxieties and delusions which can sometime motivate these practices. Additionally, his book delves into why people want to believe in such fabrications.